As city governments try to create thriving downtown business districts, they’re often faced with the question of what to do about parking. Everyone wants to park close to where they’re going, but there are only so many spaces to go around. Businesses worry that too many people will park in the best spots for hours, discouraging other shoppers who can’t find a place to park. It’s a balancing act that different municipalities in the county have dealt with in different ways. For Westminster, it means maintaining 1,842 public parking spaces on the street, in lots, and in two parking garages, with those spaces being a mix of free, metered and permit parking. At the other end of the spectrum are smaller municipalities like Manchester, which doesn’t have metered parking at all. Customers want to park as close as they can to the businesses they visit. Residents who live in the downtown areas of their communities want to park as close as they can to their homes. Cities usually don’t have enough spaces to meet both demands. As it turns out, businesses are usually the biggest proponents of parking meters. Taneytown officials discovered that fact when they removed the city’s parking meters. When Union Bridge was undergoing its Main Street revitalization, the downtown businesses requested that parking meters remain so that their customers would have a place to park. The two-hour limit on most meters ensures turnover of the spot multiple times during the day. Parking in Carroll County is affordable. In the smaller municipalities, like Union Bridge, a quarter will buy you an hour of parking for up to two hours. In downtown Westminster, a quarter will get you 30 minutes of parking up to two hours. For employees of downtown businesses or visitors who need to park frequently or longer than two hours, the city offers monthly parking permits for savings between 67 percent and 78 percent of the hourly rate. Westminster even offers discounts for prepayment or bulk purchases. Permits are available through the City of Westminster’s Department of Finance. 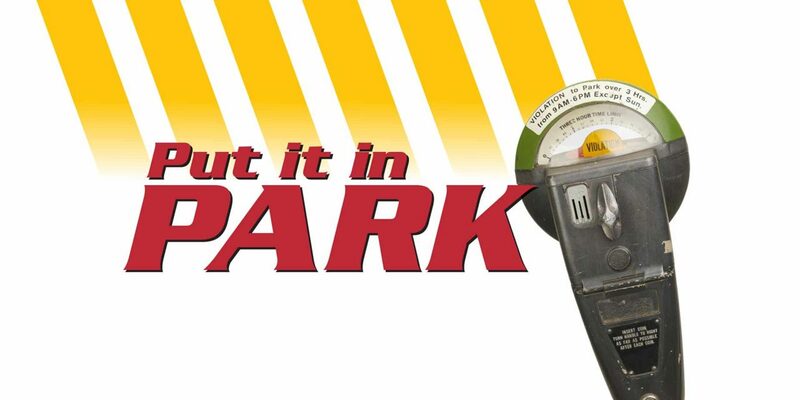 Some communities, like Manchester, Mount Airy, and Hampstead, don’t charge for parking, either because the demand for metered parking doesn’t exist or because the costs of maintaining meters wouldn’t be covered by the revenue they bring in. “We have not have had a huge outcry for parking meters,” said Mount Airy Main Street Manager Ashley Collier. She said that the town’s greatest parking need is more spaces. Besides the actual meter fees, the other way parking revenues are collected is through parking fines for vehicles that stay too long at a meter. Parking fines throughout Carroll County aren’t excessive, varying between $5 and $25. Westminster even has a first-time-free policy. Your first parking ticket each calendar year at an expired meter is just a warning. Each succeeding ticket will increase the fine amount until it reaches $25. The revenues raised from parking meter fees and parking fines generally aren’t used to have more money for a city to spend. It goes to pay the expenses involved with having parking meters. In 2018, Westminster budgeted to collect $30,000 from parking fees at paid surface lots, $65,000 from paid garage parking, and $130,000 from the city’s parking meters, for a total of $225,000. The city expects to pay more than $6,000 for meter expenses, $40,000 for parking garage maintenance, and $170,569 for debt service for the parking garage, totaling $216,569. (Information about revenue from parking fines was not available.) Maintenance and meter expenses include items like line painting, patching, paving, and grounds maintenance. These costs don’t include the employment costs for the person who collects money from the meters. In Taneytown, there are a metered lot and 37 parking meters on the streets. These meters generate about $6,000 for the town annually, and parking fines generate another $8,000. Although the town pays some upkeep for the meters, Heine said that the excess goes toward purchasing equipment for the Police Department. Cutsail said that besides paying for the maintenance of the meters and the parking enforcement officer who collects the money from the meters, Union Bridge donates a portion of meter revenues to the volunteer fire company in Union Bridge. These discretionary uses of parking revenues are possible because the they don’t have dedicated uses in town budgets. They go into the municipalities’ general funds. Town governments budget to cover the costs of the meters, but when there is a surplus, they use the funds for other purposes. While parking meters aren’t the most attractive sites along a city street, they are the cheapest option available, running around $450 for a mechanical meter. Meters that use a digital readout need batteries. The kiosk parking systems have to be hard-wired for electricity and have Wi-Fi connectivity to run credit cards. These advanced systems run to thousands of dollars for each kiosk. The town had to purchase a coin counter to count all of the money collected from the meters. Then they have to bag the coins and print a receipt from the machine to take to the bank. So the next time you are grumbling as you fish around for a quarter to feed the meter, remember that it’s the best way to ensure that you have a place to park within a reasonable distance of where you want to go.